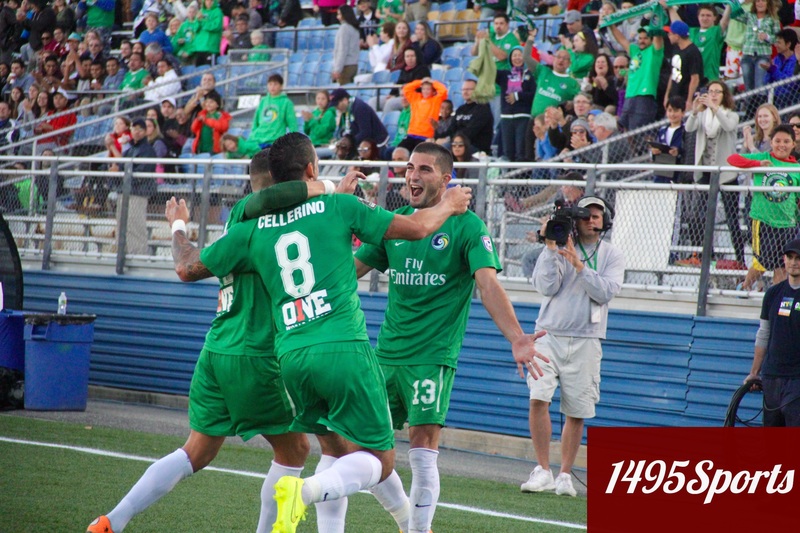 The New York Cosmos continued to build momentum in their push for the playoffs with a 3-0 victory over FC Edmonton on 10/11/15 at Shuart Stadium, on the campus of Hofstra University. This is the second straight 3-0 victory for the New York Cosmos, who are starting to look like a team hungry for an opportunity to win the North American Soccer League Championship aka the SoccerBowl. Recording goals in the match on 10/11 were Sebastián Guenzatti, Raul and Ruben Bover, as the team has reclaimed the top spot in the overall standings. Guzenatti found the back of the cage from an assist by Gastón Cellerino, this is the second match these two have been able to connect to score a goal, and it seems as if they have built great chemistry. As for Bover, the Midfielder recorded his first goal of the season, having come onto the field as a sub. The Cosmos have a bye next weekend. They return to play Saturday, Oct. 24 on the road against the San Antonio Scorpions. Kickoff is scheduled for 8:30 p.m. ET. Prior to the match the first 3,000 fans in attendance recieved a Danny Szetela bobblehead. The Midfielder was all over the place and was near inches away from a goal and assist in the match.